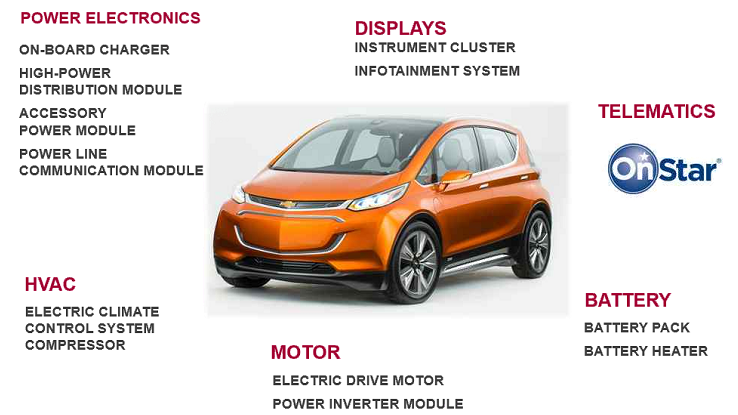 Another industry analyst is supporting the thesis that GM’s Chevy Bolt EV is a compliance car aimed at accumulating ZEV credits to allow the Michigan-based automaker to continue selling its profitable gas-guzzling vehicles. Brinkman hasn’t released any particular information shared by GM’s Chief Financial Officer during the meeting, but the timing of the note is certainly interesting. The analyst’s comment supports recent reports that GM will be losing up to $9,000 per Bolt EV sold outside of ZEV states, where the company receives credits worth $20,000 in value if used to avoid fines for compliance to the zero-emission mandate, or about $16,000 at market price. It’s important to note that the Tesla Model 3 program and the Bolt EV program are extremely different. LG is an incredibly important contributor to GM’s Bolt EV program. In fact, the Bolt is almost as much an LG product as it is a GM product. LG Chem supplies the battery cells, but between its other divisions, the South Korean giant supplies all the main powertrain components, the HVAC system, and the instrument/infotainment cluster, among other things. On the other hand, Tesla is making all its power electronics and, most importantly, its own battery pack. It wouldn’t be cautious to claim that the Model 3 will not be profitable because the Bolt EV isn’t, as they are both widely different vehicle programs. As for the Chevy Bolt EV being a problem for Tesla’s demand, basic arithmetic tells us that the Bolt EV can’t become a problem for Tesla’s Model 3 unless GM decides to significantly increase its production rate – which currently is believed to be set at around 30,000 per year. Tesla has over 400,000 reservations with deposits for the Model 3. Even if somehow GM could manage to get all its Bolt EV customers from Tesla Model 3 cancellations during the next year, it wouldn’t make a 10-percent dent in Tesla’s backlog for the vehicle. During a special shareholders meeting last month, Tesla CEO Elon Musk said that he would like to see GM produce 300,000 Bolt EVs per year – a volume GM achieves with other vehicle programs – instead of 30,000 vehicles per year. While there’s still a chance the Bolt EV program could graduate from a compliance car to a real high-volume vehicle, GM has been lobbying against the EPA’s recent change in average fleet fuel consumption, which would have forced GM to produce electric cars in volume – casting doubts about their willingness to scale electric vehicle programs beyond compliance.